Rapper Tyga is having some financial problems it seems, but he’s about to have some legal problems as well. The rapper, who is famously dating Kylie Jenner, was supposed to appear in court on Tuesday, but was a no-show. 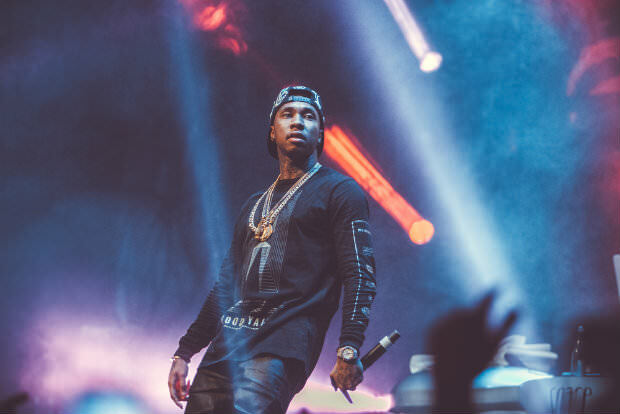 His former landlord won a judgment against the rapper from falling way behind on his rent and Tyga was ordered to pay $480,000 to him, which he has yet to do. The court date was set so that the landlord’s legal team could look into Tyga’s finances and see why he’s not coughing up the money. The landlord’s lawyer claims that there have been stories that Tyga recently bought his celebrity model girlfriend a $200,000 car for her birthday, which is strange considering he still hasn’t paid damages to his former landlord. Meanwhile Tyga is living in a new mansion, which he is renting out for $46,000 a month. The judge on Tuesday ordered a bench warrant and if Tyga runs into some police officers, he’s probably going to be arrested. Next Story → Why Are The Rock And Vin Diesel Beefing?